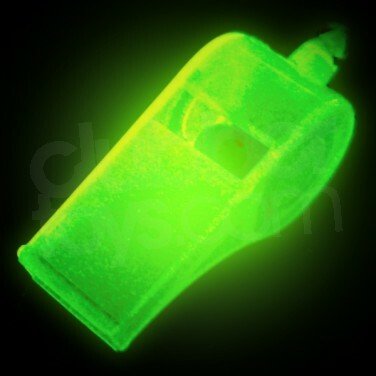 Glow in the dark whistles do exactly that as they glow brightly in the dark after exposure to light! 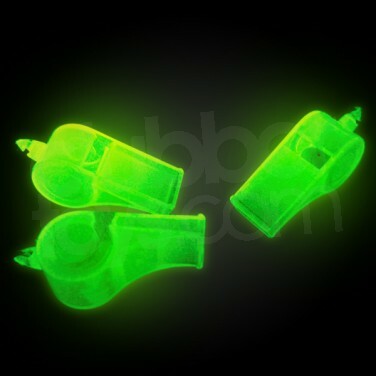 Brilliant for parties or even for more practical use, these funky noise makers appear pale green/off white in the light but glow bright green in the dark after exposure to light or UV blacklight. Supplied on a safety lanyard, these bright glow whistles don't need batteries, simply expose to light allowing them to charge before viewing in pitch black conditions, or super charge and view under UV blacklight for incredible glow effects! 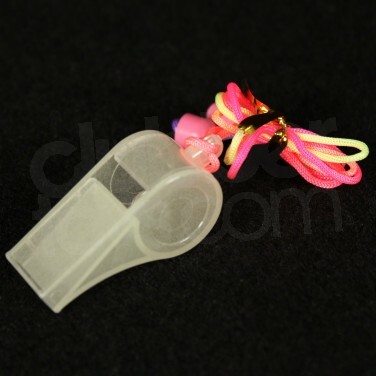 Glow In The Dark Whistles Glow in the dark whistles will glow in the dark after exposure to light and glow neon green under UV light! Using new glow in the dark technology we bring you glow gloves! These gloves after 'charging' by light will glow in the dark. We are not sure of their many uses but they make great stocking fillers.